We can bring the freshness and life back into your rug with our professional rug cleaning service. Fantastic results every time for longer lasting clean. Professional Rug Cleaning in the Yorkshire Dales and surrounding areas. 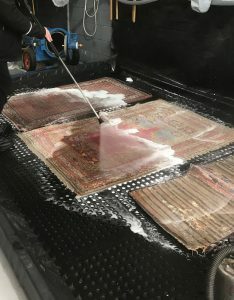 You will be amazed how we can bring tired mucky rugs back to life using our specialist equipment and industry knowledge that we have been accumulating since 1990, it all starts with the 12 point process to ensure your rug is given the most through clean. 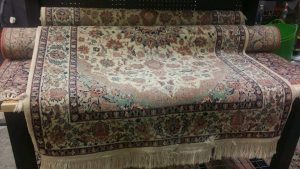 Here are some of the types of rugs I clean Persian, Turkish, Caucasian, Turkestan, India, Pakistan, Afghanistan, Chinese, Tibet, Nepal, Moroccan, Egyptian, Belgium, Oriental and Contemporary rugs. 1. Rug Inspection and ID. I inspect the rugs with you, if this is possible, so I can get as much history of your rugs as possible. I like to know the age and if the rug has ever been cleaned before, if it was washed or cleaned on location by a carpet cleaner. 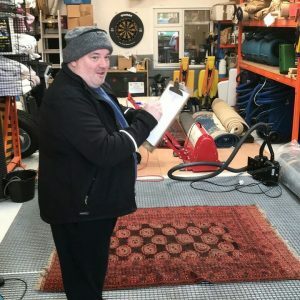 I like to know specific concerns you may have like spots, stains, odours, I will also point out any concerns I have as a professional rug cleaner including condition or hidden stains in the rug you may or may not beware of. 2. Rug Vacuuming with industrial vacuum. This is the first stage of a three part vacuum, beating and air dusting process, I first vacuum all the loose fibres and dust particles with a vibrating head and collect them in a visible collection tube, which you can see in the picture was retrieved from one rug. 3. Rug beating with rug duster. 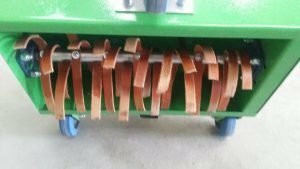 I dust the rugs with a special rug dusting machine that has over forty leather straps attached to a pole, that rotates gently but firmly slapping the back of the rug. This dislodges and shakes out dry particulate soil that can eventually make the rug threadbare. In the past, an old method of cleaning the rugs would be to drape them over fences and beat them with rackets or hand rug beaters to remove the dry soil. 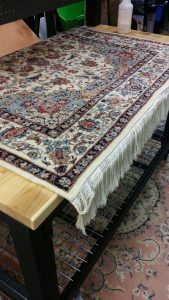 This is one of the most important steps done to prolong the life of your rug. Finally I air dust the front face fibres of the rug to get the last small particles of dust soiling that is locked into the fibres. Using air to remove as much soiling (Dry particulate matter) before I wash the rug. Natural fibres such as wool do not show abrasion like other synthetic fibres do! But that does not mean that the surfaces of the fibres are not abraded. Wool does an excellent job of hiding soil but because the fibres do not show the abrasion, it is not apparent. One of the biggest problems is that most of us will not clean something unless it looks dirty. The dry soil works its way down to the base of the fibres and as you walk on the rugs that soil has a way of chafing or sawing at the base and as I stated above, the rug will eventually become threadbare. 5. Rug Washing in pit or wash floor. I take the rugs to our wash floor area where I saturate them with fresh cold water. The rugs are completely submersed with the benefit of being able to clean them fully underwater. I often submerse rugs to treat them for mold, urine or other contaminants. The objective here is to let the fibre release fully any contaminants and to wash all the soil out of the rugs. I gently scrub up the rugs using a lot of shampoo designed especially for Oriental rugs. In this step, there could be a variation in chemistry depending on the type of rug and the dyes used. It’s an extension of what we do to clean our own hair? 1) Thoroughly wet hair, 2) lather with shampoo, 3) rinse and 4) repeat. As a professional rug cleaner I often wet, lather, rinse and repeat. Whist cleaning both sides of the rug as well as the backing material permits me to do so. Applying a conditioner where needed depending on the fibre. 7. Rug Rising to remove all chemicals. 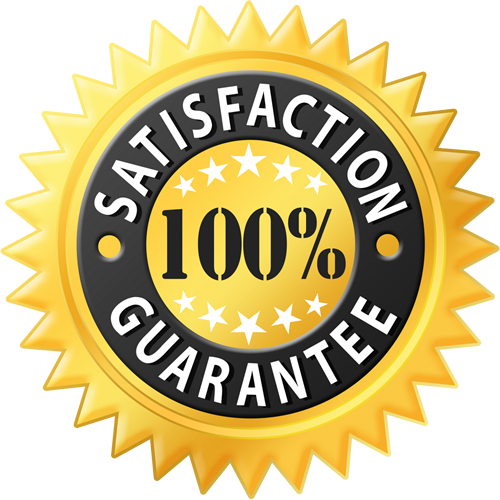 After I am satisfied that I have been able to remove all the soils from the rugs I will do another fresh water rinse to remove remaining soils as well as the cleaning agents I have used. It is very important not to leave any residue in the rugs. The rugs must remain in their natural state without anything that may re-attract soils or harm the fibres. 8. Rug Centrifuge remove excess of water from rug. Most rugs then go through our rinse/ Centrifuge for the final fresh water rinse and to remove the excess water. 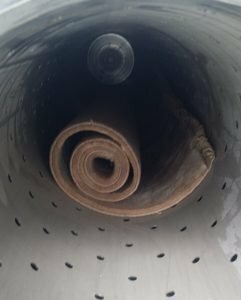 This wringing spinning process allows us to detect if any soils remain in the rug by watching the waste water that is coming out. If we do see soiled water, the rug is rinsed again until clear water is running out during the spinning process. Once the water has been extracted out, it is ready for drying. 9. Rug Drying room to fully dry off rug. The rugs are taken to our drying room, rugs are hung vertically by one end. By hanging the rug by one end the shrinkage is greatly minimized. 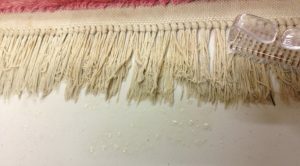 Even though the rug is not dripping after it has gone through the wringing process it is still holding water and is therefore heavier than when it’s dry. Most Oriental rugs have wool in them, it can hold up to 25% of its weight in water without feeling damp. Being a WoolSafe Approved Fibre Care Specialist, E113267. I know the weight of the damp rug hanging by one end keeps a pressure on the rug that minimizes the contraction or shrinkage of the rug. 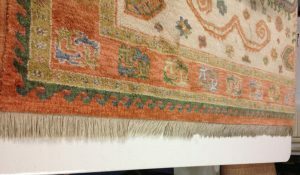 Not all rugs should be hung due to their construction, this is picked up in the ID inspection process. With floor drying or flat drying there are some that need to lay flat to dry due to their construction. When operating the drying room it is heated to anywhere from 30°C to 40°C depending on the types of rugs being dried. There are large fans that move the air and rugs to maximize the rapid drying process, along with dehumidifiers to remove the excess moisture from the air. A large thick rug can be dry in a few hours. 10. Rug check over any spot stain removal. 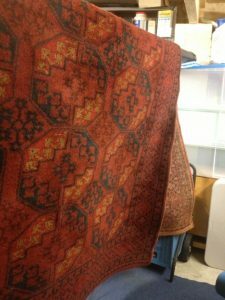 After the rugs have been dried, they are checked to see if there are any trouble spots that may have been missed or come back while the rugs were wet going through the drying process. Fringes are checked to see if any additional work may be needed. If any addition spot or stain removal is needed that is completed here. 11. Rug Protection applied and final Inspection. Rugs are always recommended to have a protector applied to them, be that a water based protector or a solvent based protector. Again this will have been discussed and approved at first rug ID and inspection. Final Inspection of the rugs will be completed and when give the 100% clearance they will be wrapped ready for delivery. 12. Rug wrapped and delivered back. 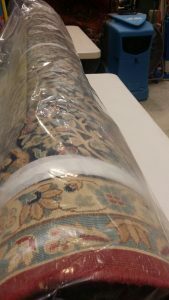 The rugs are then rolled and stretch wrapped and delivered back to our customers’ homes, offices. Where I offer a relaying service and if needed new rug pad to help your rugs sit on the floor with no movement and a lovely cushion feeling when walking over them. Some of our customers ask that the rugs be wrapped for storage and I use a breathable tear resistant product. The key here is to make sure the special plastic can allow for air exchange and minimize the ability for bugs to get in to your rugs. 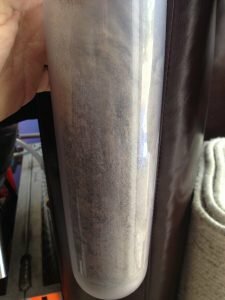 Hopefully this will shed some light on how I clean rugs at Hoyles Rug Cleaning Studio and that the way I clean them, is better for the rug and helps to extend its life. 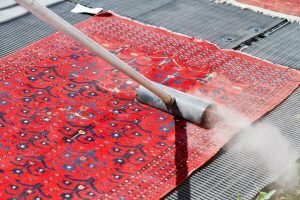 One of the most asked questions I get is “how often should I have my rugs cleaned?” and I can tell you that in the rug cleaning industry experts tend to agree that minimum every two to three years is recommended. This all depends upon how much traffic (walking over) they get and I always recommend turning your rugs through 180 degrees every 3 – 6 months. From our dedicated rug cleaning workshop near Keighley we have been servicing both domestic and commercial clients across West Yorkshire and even boutique hotels in the Lake District for many years. 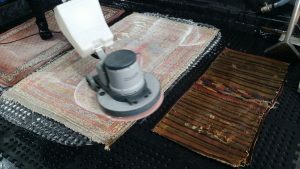 We can offer a high quality clean for virtually any type of rug all from within our workshop so you don’t have the hassle of machines running in and out of your home or business. 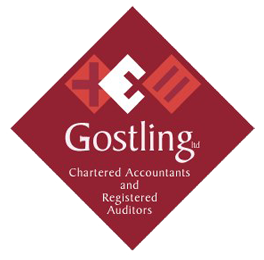 If you have questions call us on 01535 630 620 or complete the quick enquiry form today for a free inspection and quotation.